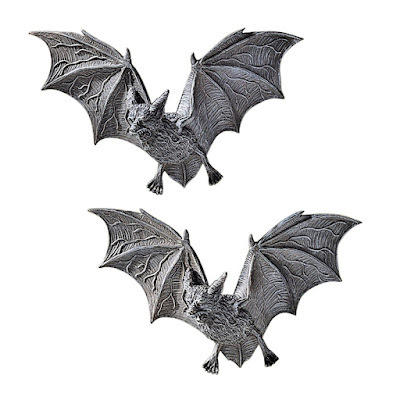 What better way to creep out your guests that with this set of creepy vampire wall sculptures hanging on your house? 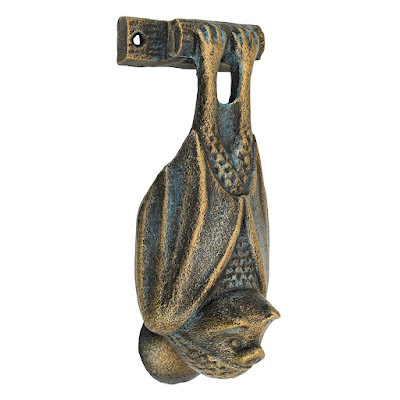 Your house will look extra startling with this vampire bat cast iron door knocker looming on your door. 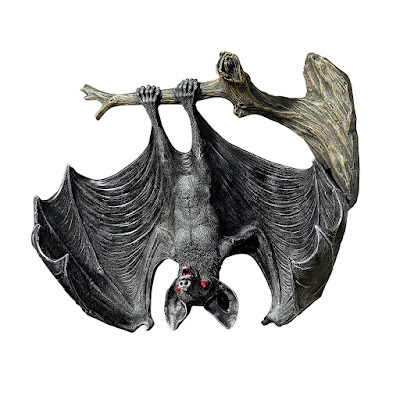 A perfect addition to that spooky tree along your walkway might be this Demon of the Night Vampire Bat Statue. Its glowing red eyes and blood filled mouth make for one grim looking bat. 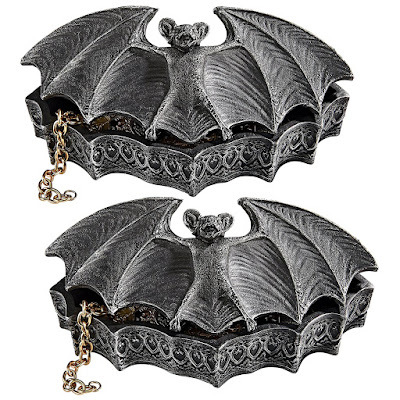 If you want to tempt that brave Halloween visitor with something mysterious, you might love this set of Vampire Bat boxes. 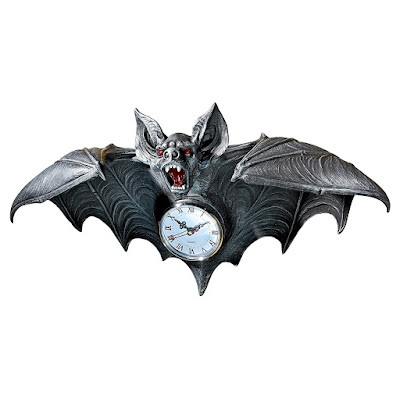 For those more serious about bringing the menace factor up a notch, check out this Witching Hour Vampire Clock Sculpture. 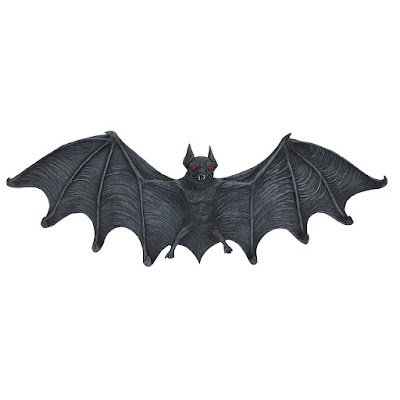 You can shop for all of these Design Toscano bat home decor items at Amazon.com.